October 10th, Mental Health Awareness Day. We all know someone who is either struggling or who has been affected with Mental Health Issues. In times gone by it has been a taboo subject, but we have evolved and it is now a more 'accepted' topic. 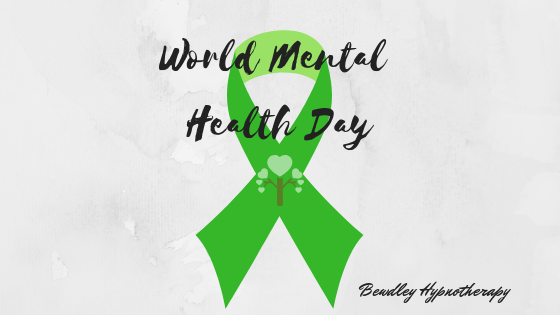 Mental Health is not a subject we should be ashamed to openly talk about, it is a subject that should be openly discussed so that those in need can get the help and support they want and deserve. There should be more readily available resources to all age groups. The pace of life, our expectations of others, social media and media in general can have a negative impact and we as a society seem to just accept it and bury our head in the sand. Poor mental health doesn't just affect us emotionally, it has a physical impact too, which in turn has a draining impact on our health services, surely if we can offer the emotional support the downward spiral can be reversed and turned back In to an upward spiral. It is too easy to turn to medication, when this is not always the answer. Slowly we are rediscovering that if we can learn to switch off from life and take some time for ourselves we begin to feel much brighter. The cortisol levels drop, the stress levels drop, the anxiety levels drop. There are many employers now who are starting to look after their staff by offering holistic days at the office, the improvement they see not only in their staffs performance but also mood levels in remarkably improved - staff begin to feel valued rather than exhausted. What are you doing to help your mental health or support others who are struggling? Exercise classes, walking, yoga, meditation, gym, crafting, dance classes, hypnotherapy, massage, reiki, crystal healing, laughter classes. Not all activities need to cost the earth, just find the one that suits you best, but whatever you do, don't just sit and procrastinate, get out there and do it!